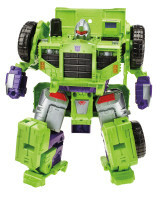 Your favorite female Autobots from the COMBINER WARS take up arms and become COMBINER HUNTERS in pursuit of the ultimate DECEPTICON COMBINER — DEVASTATOR! This special edition set includes Deluxe scale figures of WINDBLADE, ARCEE, and CHROMIA figures, each featuring exclusive decos and COMBINER HUNTER weapons. 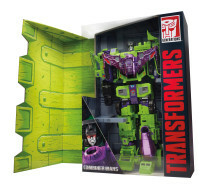 Fans will also receive a Hasbro SDCC exclusive cover edition of IDW Publishing’s TRANSFORMERS: COMBINER HUNTERS #1 as a free gift with each Hasbro Toy Shop purchase at Comic-Con International that includes TRANSFORMERS GENERATIONS: COMBINER WARS items. Following the convention, a limited number of action figure sets will be available on HasbroToyShop.com. 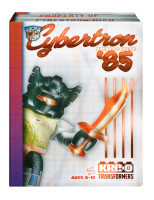 Go back to the…uh, past with this amazing set of retro TRANSFORMERS KREON figures celebrating the radical year 1985! Like last year’s special edition KREON CLASS OF 1984 Yearbook celebrating the 30th anniversary of the debut of the TRANSFORMERS brand, the “new wave” KRE-O TRANSFORMERS Cybertron High KREON Class of 1985 30-Pack set features 30 amazing TRANSFORMERS characters, all of whom debuted in 1985’s second season of the TRANSFORMERS animated series! 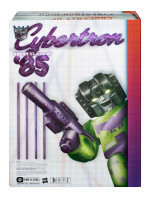 Features fan-favorite characters like DEVASTATOR, GRIMLOCK, and OMEGA SUPREME, as well as the KREON debut of ASTROTRAIN, BOMBSHELL, JETFIRE and more! Plus, get the figures ready for their laser-background yearbook photos with awesome ’80s KREON accessories like a denim jacket, custom feathered hairdo and a prophetic Sports Almanac! Following the convention, a limited number will be available on HasbroToyShop.com.